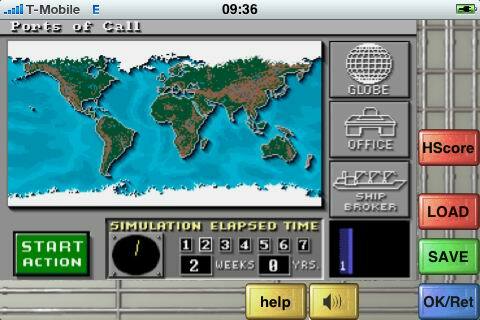 Ports of Call the original version is on the App Store ! 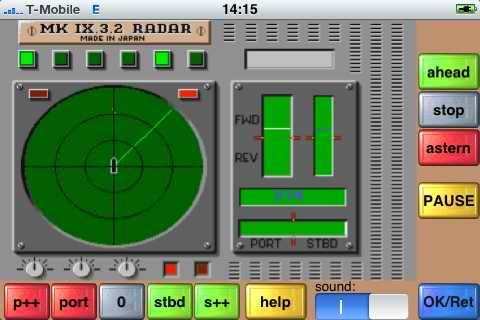 It should work with iPhone and iPod touch (sw rev 2.2.1)! For all editor persons (news magazines etc.) we can provide a free download code on request. 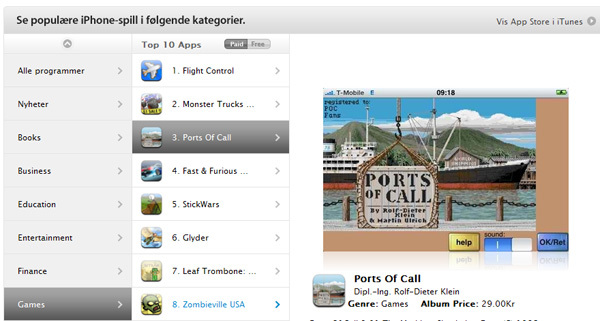 NORWAY TOP 3 - on App Store see www.apple.no (at 25. april 2009) over all 26000 programs its no 4 !! ... are you sure it's already available in the german App Store? 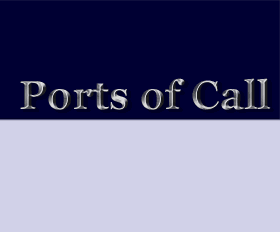 i've search for "ports of call" and "poc" but i'm unable to find it. can you post a direct link to the app in the app-store? RDK you are talking about XXL correct? 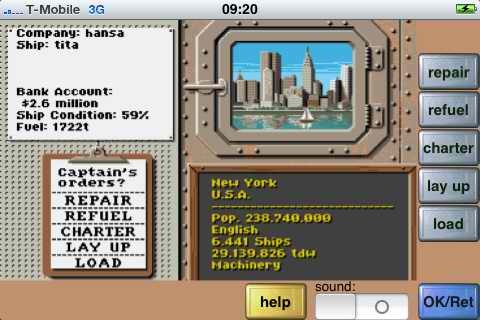 Not XXL, its the original classic version from Amiga, from the resolution its close to the iPhone screen (480x320) Amiga had 320x240. 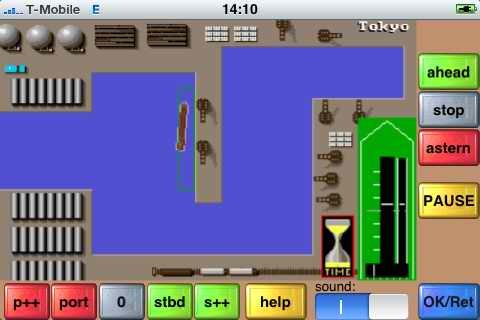 we used the extra space for some larger buttons to help with the finger touch and for the 2d simulation. Posted: Wed Apr 08, 2009 9:29 am Post subject: POC für das iPhone in Deutsch? Wird es eine deutsche Version oder eine Testversion (der englischen) geben? Ich weiß nicht, ob meine Englischkenntnisse ausreichen um die jetzt erhältliche vernünftig zu spielen. Gruß, und tolle Arbeit die Ihr macht! Eine deutsche Version ist geplant, wird aber noch ein wenig dauern, da ich erst mal abwarten will wie es so anlaeuft. Ich denke man kann es in englisch auch schon ganz gut spielen. When a berth points exactly to the left side the tolerance for berthing ist +0 .. +10 degree for the ship instead of -10 .. +10 degree. that is turn the ship a little bit to starboard. 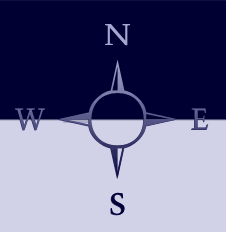 For all other berths its no problem, you can also berth in the wrong direction (180 degree) which also solves the tolerance. by the way, the old amiga version only accepted 0..+5 degree tolerance (which we changed already for the iPhone but not completely). update will come soon, also some other nice enhancements. Is there any way to bring the computer into play? but for the future we can do something on this I have it on the wish list (as pocxxl has such a feature). Its on my update wish list. 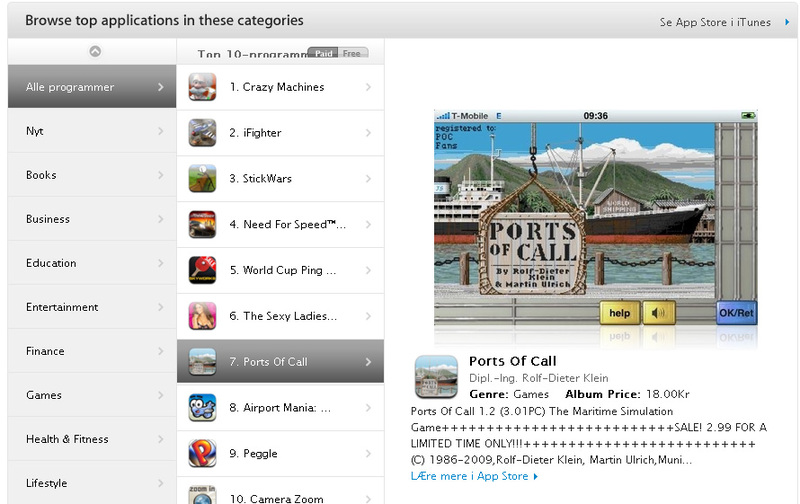 in germany #3 and in addition #1 of the "editors choice what we play" in the store front of App Store (games). now the long requested "fullscreen" version is out, can be toggled anytime.